At Bet72 we are all about the value so we are delighted to announce an exclusive deal for the access to the hottest trading website on the block, www.inplaytrading.com and with the small matter of a World Cup on the horizon, this couldn’t have come at a better time. Get 3 months full and unrestricted access to the site, strategies, support and best of all their flagship software, the InPlay Scanner for the price of 2! We, at bet72.com, are not ones to throw praise around lightly but honestly this software is an essential bit of kit for anyone looking to get involved with InPlay football. You don’t have to be a trader to get the benefit either. Even if you are just thinking about one of Big Ray’s half time specials, how good would it be to have all the InPlay stats and information right at your fingertips before you decide to part with your cash you slaaag! The brilliant Inplay Scanner with stats like Shots on Target, Corners, Possession, a very popular Pressure Indicator stat % which many use to see where goals are likely, audio alerts and much more including the brand new “Strategy F”, Strat F which profits from not only goals from 65 mins to FT but IF no goals also profits from goals from 85 mins to Full Time, this has been doing superbly well with so many late goals this season. Add to this free access for all members to the marvellous Draw Inflation & MarketMatcher tools plus free daily tips & trades from Simon, one of the resident pro traders and of course access to the brilliant live chatroom, for all the support, advice and latest shoutouts covering football, racing, cricket and even the odds spot of greyhounds too! We are happy to help and offer any of our own advice or ideas on how to get the best from the site too so please don’t be shy just drop us a line at info@bet72.com anytime and please do email us with any of your green screens of joy whilst using the software too. £2 For 7 Days Anyone? The brilliant Inplay Scanner with stats like Shots on Target, Corners, Possession, a very popular Pressure Indicator stat % which many use to see where goals are likely, audio alerts and much more including the brand excellent “Strategy F. Strat F profits from not only goals from 65 mins to FT but IF no goals also profits from goals from 85 mins to Full Time, this did superbly well with so many late goals last season plus there are free daily tips & trades from Simon, one of the resident pro traders and of course access to the brilliant live chatroom, for all the support, advice and latest shoutouts covering football, racing, cricket and even the odds spot of greyhounds too! Here’s a quick look at the scanner in action…. So 7 days unlimited access is only £2. No brainer isn’t it? There’s not a lot you can buy for 99p today is there. Let’s face it you would be hard pushed to get a 99 Ice Cream for just under a quid. Yet for that princely sum you can get full access to the most essential piece of software for anyone who wishes to bet and/or on InPlay Football. Yes we are delighted to announce that our exclusive deal for the access to the hottest new website on the block, www.inplaytrading.com has been extended until the end of the month. That is 99p, yes 9-9p, under a pound, for 7 days full and unrestricted access to the site, strategies, support and best of all their flagship software, the InPlay Scanner. For a limited time come & try the software for less than a quid. Yes we have an EXCLUSIVE deal with the chaps over at InPlay Trading and you can now get 10 days unlimited access to the Scanner, Sample Strategies & all the other exclusive content on the inside for just 99p. This is not a misprint. Amazing value! Such is the power of the tool that we have been able to turn that much maligned strategy, Lay The Draw, it into one of our most successful ones of the season so far, by being able to jump onto games where the draw is trading below 2.0 but there have been 5 or more Shots On Target and the sites unique “Pressure Indicator” to secure profit after profit. Of course no strategy is going to be 100% but with the stats on your side and sensible bank management the only way is up and up with access to this site. Take our most recent trading success yesterday in the Tondela v Boavista game in Portugal. 0-0 well into the 2nd half but the scanner was screaming goals to come so we jumped on the Over 2.5 market…..
That’s 7 days trial access covered with over £35 left in change from just this one trade! This would never have been a game we would have considered to get involved in, we just had the scanner running in the background looking for triggers (alerted by a handy ping). We are happy to help and offer any advice or ideas on how to best utilitise the trial period and beyond so please don’t be shy just drop us a line at info@bet72.com anytime and please do email us with any of your green screens of joy whilst using the software too. So 7 days unlimited access is only 99p. Yes that is full access to the scanner, strategies, daily tips & trades of the day and the legendary live trading chatroom. No brainer isn’t it? The 2016/17 Premier League season kicks off on 13th August. As ever the hype and anticipation is being whipped up to fever pitch with the league now awash with big name managers and some exciting new signings but maybe the hottest transfer deal of the summer comes from our friends over at www.inplaytrading.com, who have a very special offer running to celebrate the occasion. What a top day for those in the IPT Green Room, Ads was on fire again with 4 winners, 2 scratch and NO LOSERS. Profits ranging from £40 to £50 made from those shouts depending on exit points, brilliant. Hope you were in to add some profits to your Betfair accounts. Our last minute goal in Iceland assured us of scratch and the brilliant run of 13 wins, 6 scratch and NO losers over 3 days continues onto Saturday! 40% discounted Season and 12 Month deals can be found here. These are on until end of August. No brainer, these deals to tie in until end of May 2017 or Aug 2017. See you Saturday for Trade of the Day afternoon and Inplay shouts. Let’s see if we can continue the winning run. Here’s a little video we made earlier showing, well just a typical couple of hours or so with the software….. So one weeks unlimited access to all this for only £1. No brainer isn’t it? Hot off the press, some more recent successful trades from the chaps over at InPlayTrading. 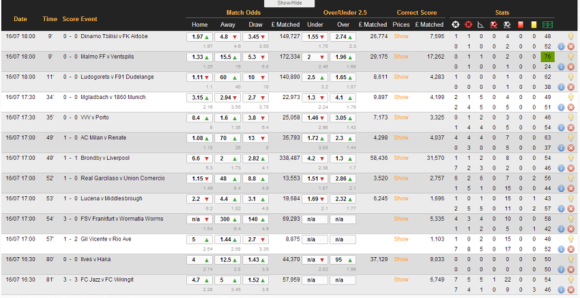 The football trading service with it’s own in built match scanner that tells you when to get involved in the markets. Yes we have an EXCLUSIVE deal with the chaps over at InPlay Trading and you can now get 10 days unlimited access to the Scanner, Sample Strategies & all the other exclusive content on the inside for just 99p (yes that is 9-9, as in the ice cream, this is not a misprint. Amazing value!). Here’s the latest demonstration video from Adster who runs the service over there…. Backed the dog at 9, 3.2 and 2.96…. I do a fair bit of this as well as Backing Over 2.5 and the draw for games 20 mins in if there have been 4 or more SOT. One goal goes in I then Back the 1-0 or 0-1 to cover the red which only leaves a late 2-0 or 0-2 as a loss as the draw is covered with the Back earlier on. Stakes? £20 on draw at around 3s and £40 on Over 2.5 at around 2.60 or more. (Halve these if too high). Works well. No goals at 65 mins I will then Back 1-0 and 0-1 and accept the loss. I also jump on around 65 mins games that are 0-0 with a minimum 5 SOT, and LTD plus Lay U1.5. Stakes I use are say £40 LTD at 2s and £80 Laying U1.5 at 1.3 max for £24 red leaving a red of £64 for both trades. Also add a Under 2.5 Lay at 1.05 to 1.06 for £100 to £120, (£6 red) making £70 in total. One goal I green the draw and either green the 1.5 or let it run. This works well. We now welcome a new measurement to the scanner, the Pressure Index. This unique algorithm calculates the how much pressure team is having and the likelihood of a goal coming. Brilliant. And it is already reaping profit after profit, it really is. £110 on the night below using small stakes, another £94 tonight using small stakes, £78 last night. Not only that but the strats employed are so simple to follow! And similar for this one, got on before the goal. Massive 0-7 Shots on Target! This one here was 0-1 at HT. Backed home fave plus Over 2.5 and when it went to 1-1 Backed Over 3.5, then O4.5 etc. Game ended 4-4 and £274 profit!! If I can do it anyone can. Wouldn’t even have traded it without the Scanner. Fantastic stuff. We have been playing around with the software too & hitting some nice profits, late goals from Barcelona, Newport & St. Johnstone were all low risk winners for us over the weekend so we are in the process of getting some of our own ideas & videos together on what works for us. And we have been posting plenty of our winning screenshots over on our social media sites too…. In the meantime, here is a view on the inside of the scanner in action…. 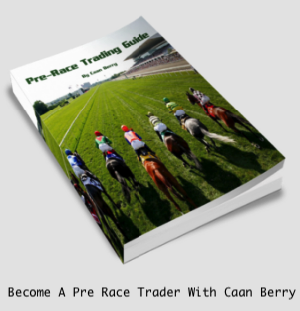 Plus the boys have now added 7 sample trading tips to their help page within the Members area to give some of you a few ideas on what sort of strategies the tool can be used in conjunction with. If you are serious about your football trading don’t delay, get over to InPlayTrading today. Create an account and grab the 99p for 10 days offer….